Here we have three visitors to Copenhagen, who I photographed outside of Baisikeli Bike Rental. Margherita, Luca and Katarina from Berlin. 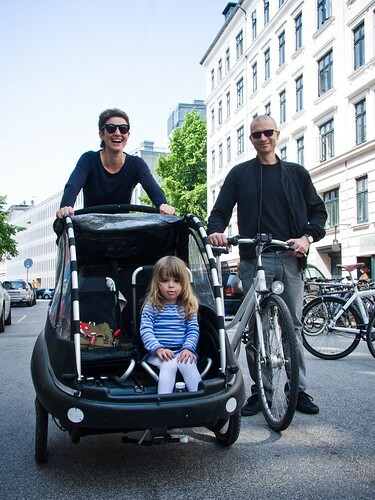 They had just rented a cargo bike and were heading out to explore Copenhagen. That's a great cycle buggy ! Oh, what a wonderful family! Looks like a lot of fun, I'd love to visit Berlin and Copenhagen!